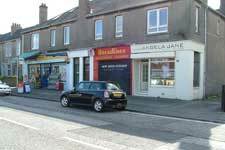 This page has links to birds-eye views at the start of each section. 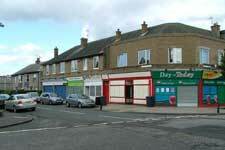 Find out about shops in the east part of the Granton area. 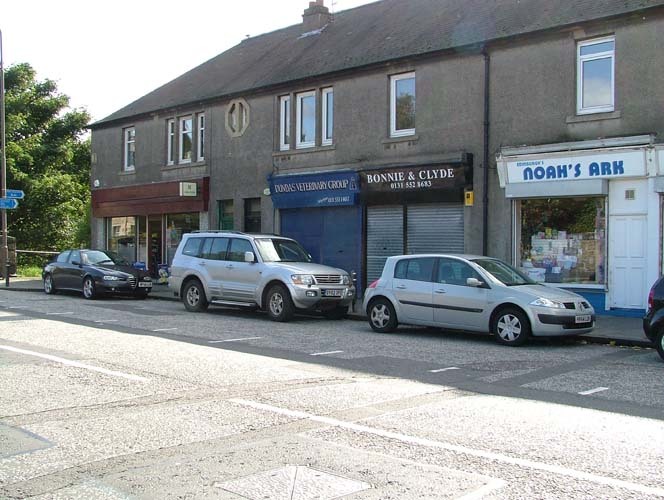 The material on this page is from recollections by May Stobie, a founder member of Granton History Group. 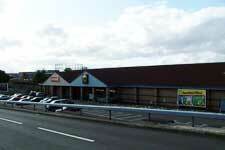 Click to see a birds-eye view of this area. 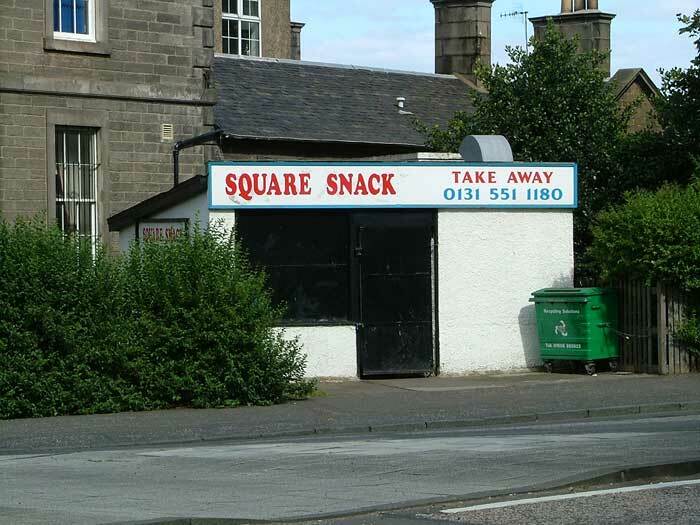 1 This shop, now Square Snack and previously Jaws, was originally the Post Office. 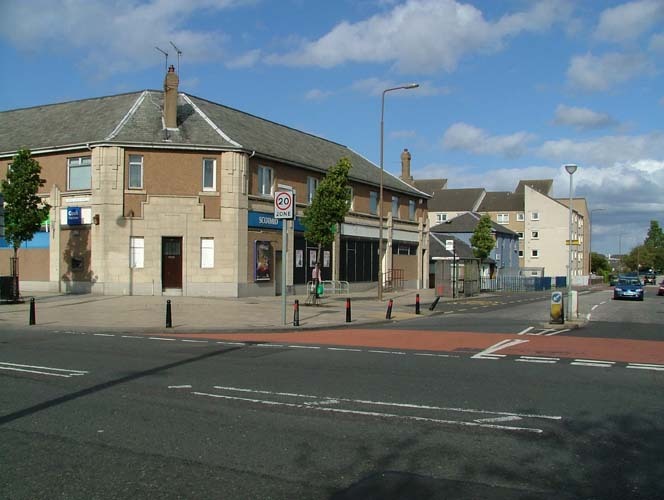 Previously, the Post Office had been behind the Granton Hotel – now HMS Claverhouse – on Granton Square, and it later moved to 153 Lower Granton Road. 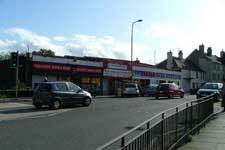 The red pillar box is still on Granton Square. 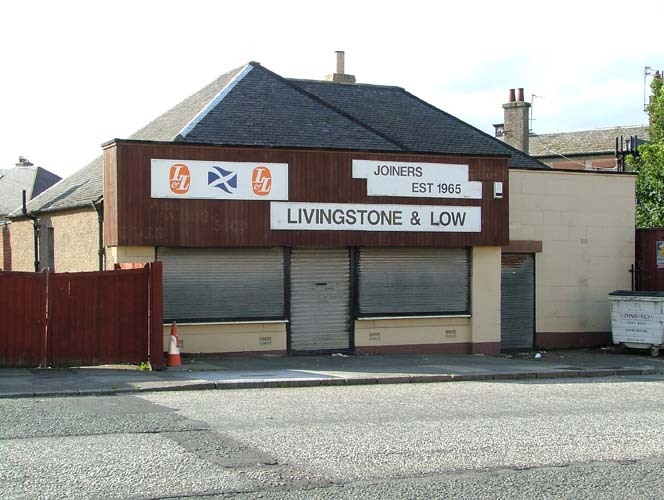 2 Going up West Granton Road, we pass Granton Youth Centre (the former Granton School) on the left, and come to Livingstone and Low, joiners, on the right hand side. 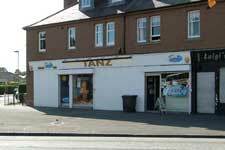 This shop was at one time Ramage’s the grocer. 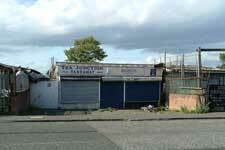 They sold corned mutton among other things. 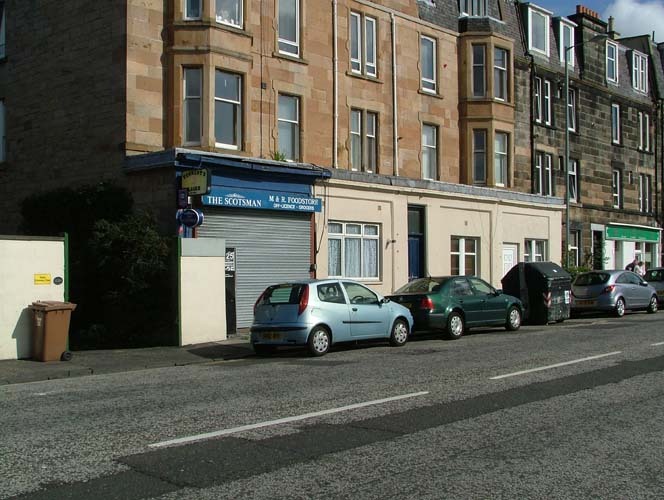 The Ramages lived in the adjacent bungalow. 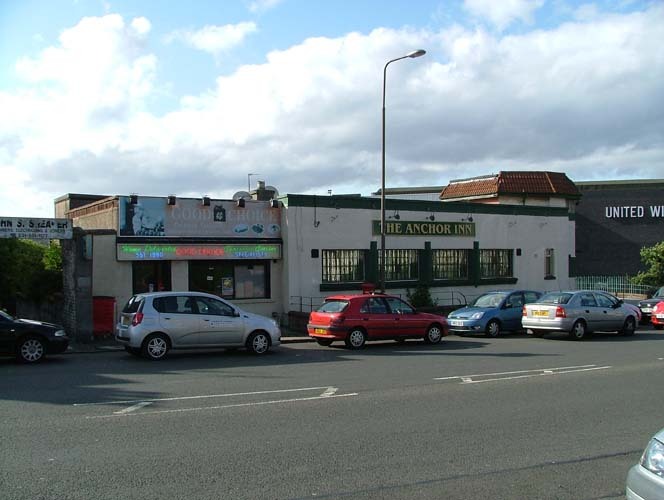 3 The shop that is now the SCS Chinese carry-out was built as the off-licence for the adjacent public house, the Anchor Inn. 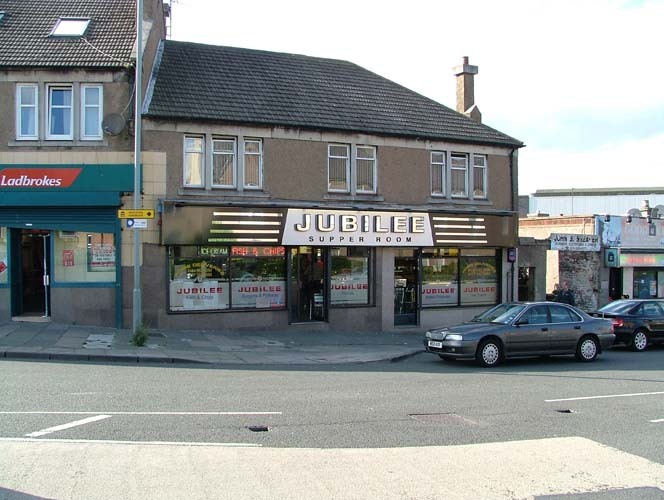 4 The Jubilee Supper Rooms, opened by the Demarcos who had previously had a similar business at Trinity Crescent. 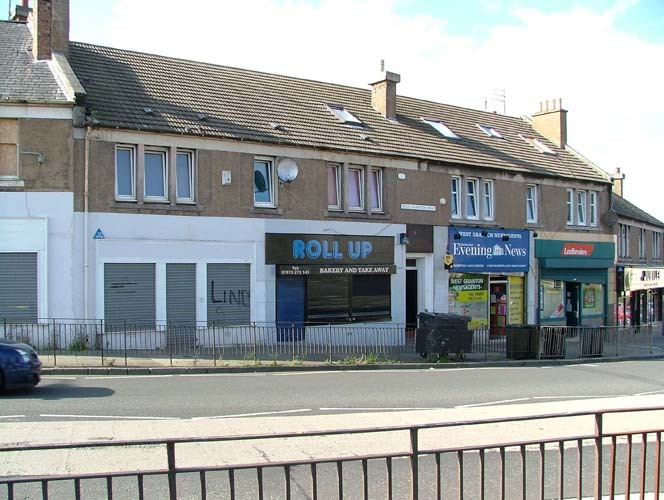 5 One of these shops was previously a butcher, but the shops are now part of Granton Information Centre, a baker, a newsagent and a betting shop. 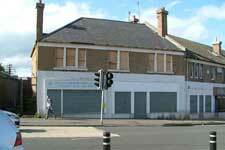 6 This shop, now used by Granton Information Centre, was at one time Watsons, which sold wool and children’s clothes. 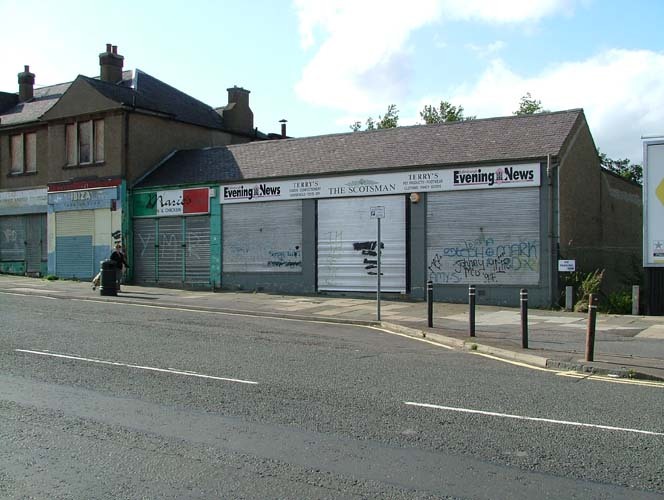 7 These shops were built a little later than the others on this part of West Granton Road. 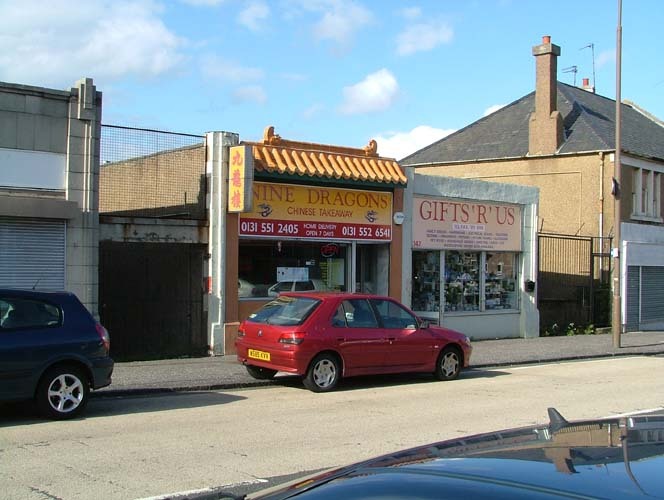 They are now the Nine Dragons Chinese carry-out and a gift shop. 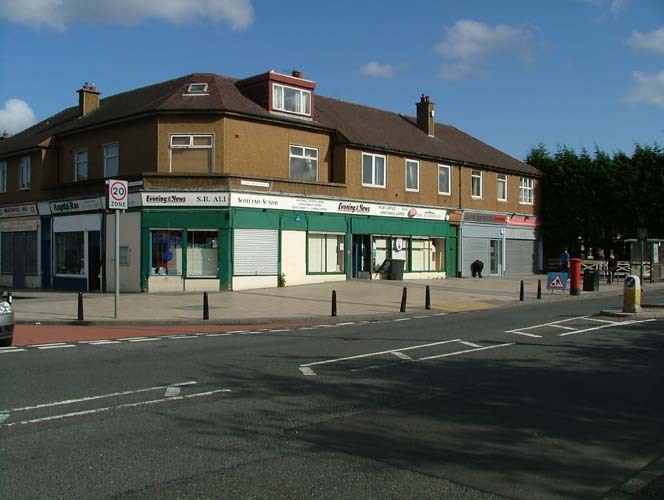 8 These shops include a hairdresser and the Monsoon Indian carry-out. 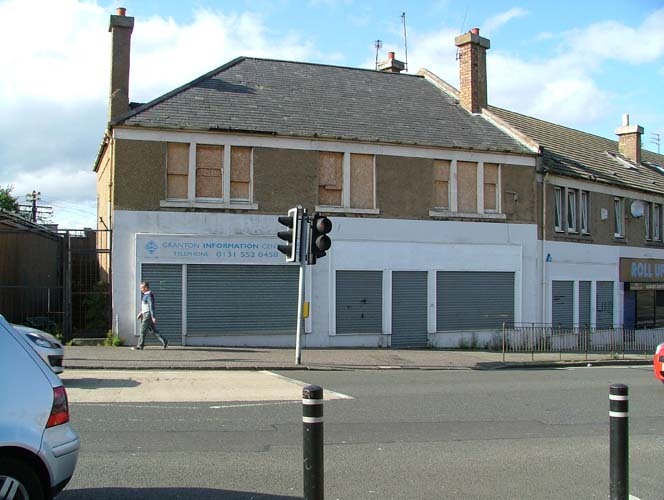 9 Looking across West Granton Road at the shops on the south side, there used to be the Beehive, which sold wool, and Albert’s fish and chip shop. 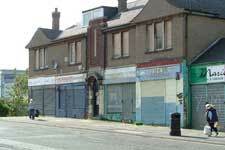 Also among these shops was Hay & Co, grocer, and a chemist. 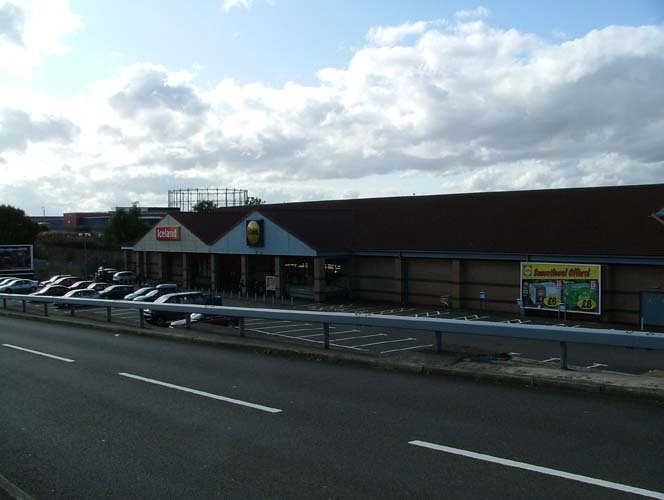 10 A fairly new addition to West Granton Road – Lidl and Iceland food stores, with their car park. 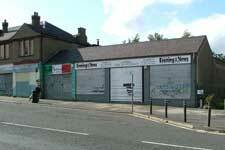 This area was used in World War II as a prisoner of war camp, and housed Italians. 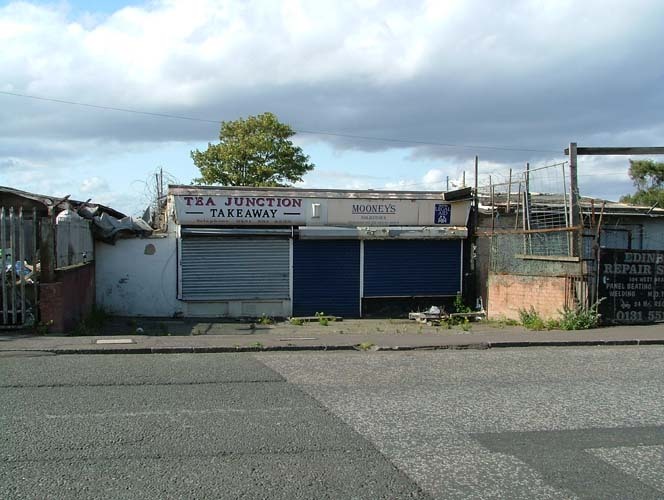 11 Tea Junction (at the tee-junction of West Granton Road and Crewe Road North) is now closed. 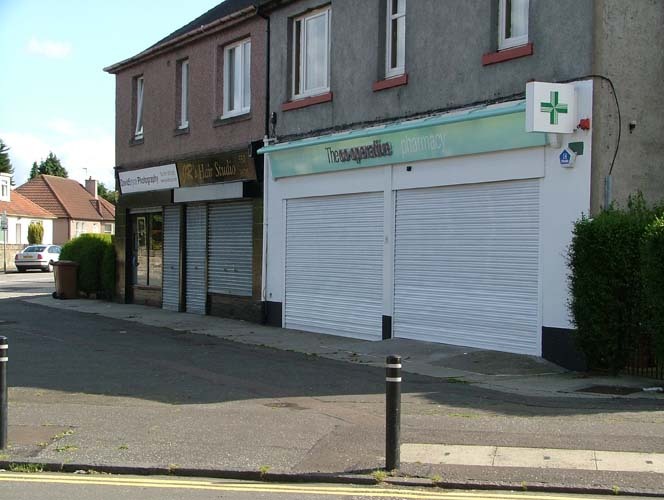 Previously it was owned by the Taylors, an elderly couple who ran the shop as a grocers. 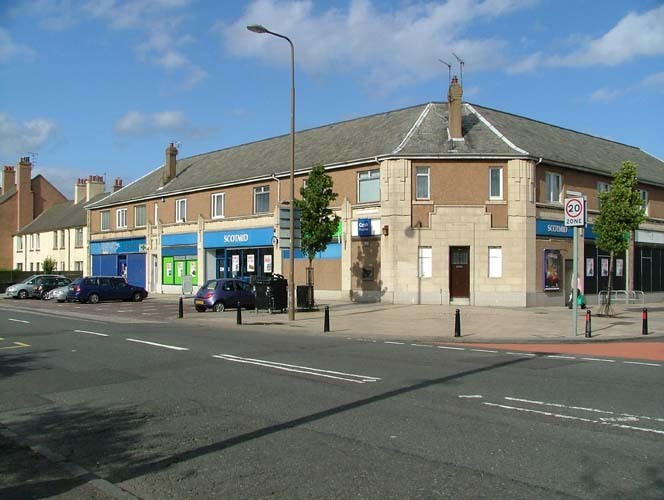 12 Terry’s – here there used to be an ice cream shop, grocer and newsagent. 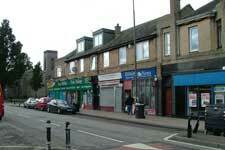 13 These shops and the houses above are now disused, and the land immediately behind is vacant. 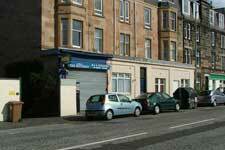 Previously the Caroline Park bingo hall and the Willie Muir pub were there. 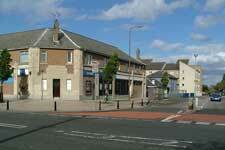 Just west of here was a narrow bridge carrying West Granton Road over the railway. 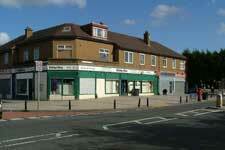 We will go south up Crewe Road North to Boswall Parkway. 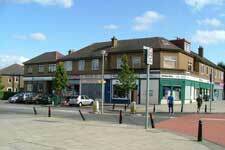 14 These shops were built in the 1930s to serve the new houses that were being built in the area. 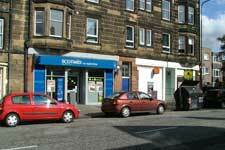 On the corner is the former Leith Provident Co-operative Society shop (later St Cuthbert’s and now Scotmid). 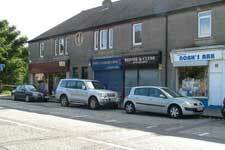 The shop had various departments including a butcher and baker, a drug department (chemist) and a shoe department. 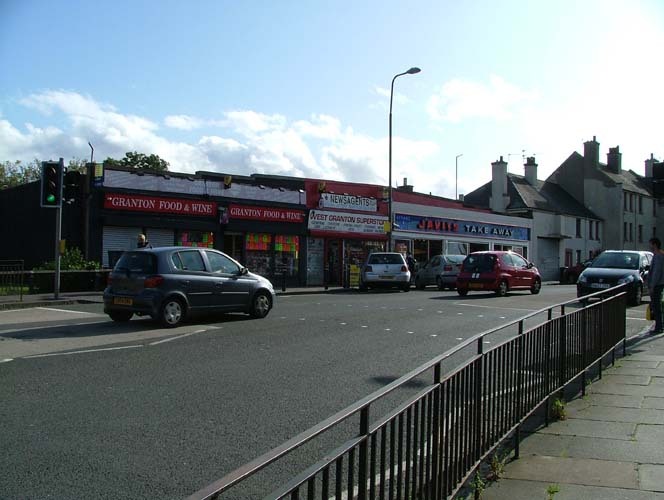 15 Here we see the Boswall Parkway side of Scotmid. 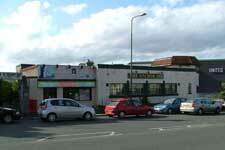 At the first junction (with Pilton Drive) at the right of the photograph was the Embassy Picture House. 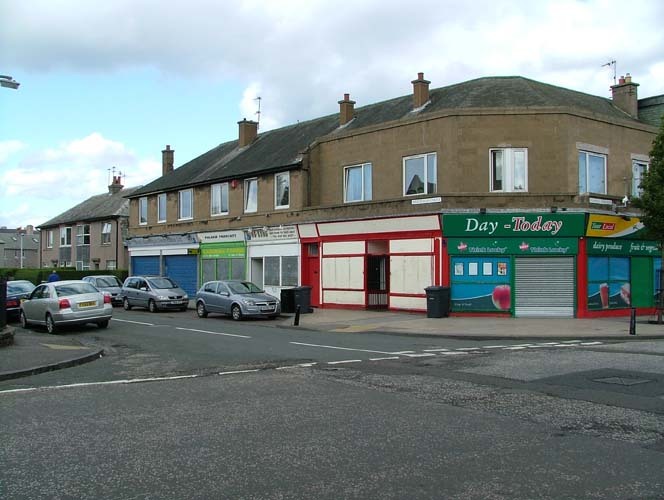 16 These shops, opposite Scotmid, previously included Irvine’s the drysalter, who also took taxi bookings for for their neighbour Mr Dalziel. 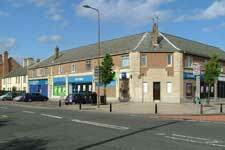 Next was Borthwick the butcher, then the Post Office. 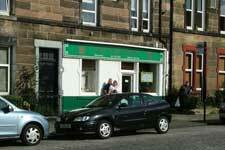 On the corner was a newsagent run by a Mr Ewart. 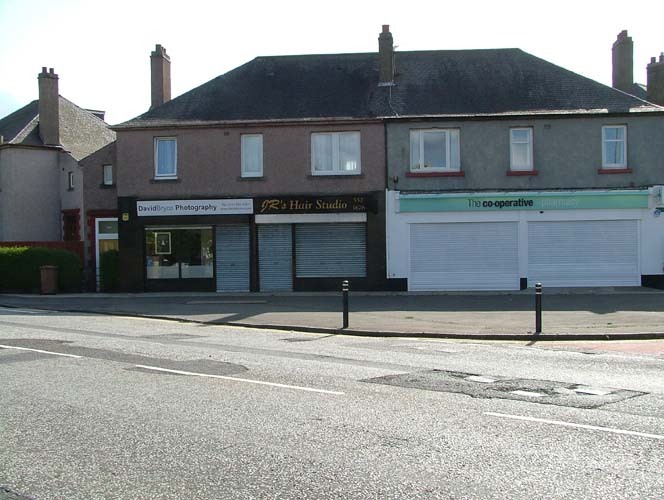 17 These shops included a hairdresser, a grocer, and a baker – the shop is still a baker (now Mathesons). 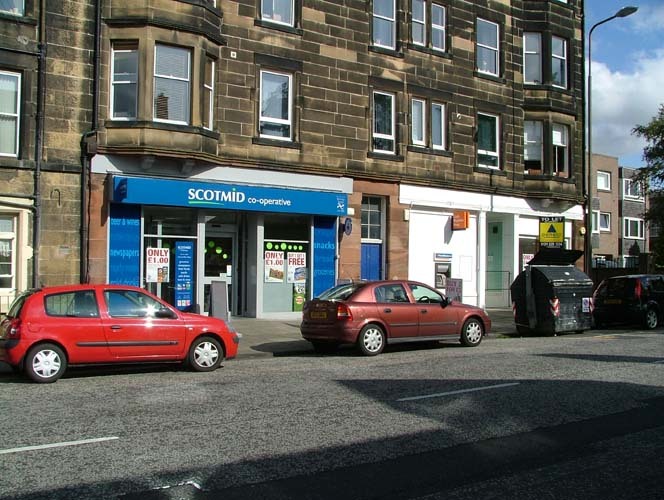 On previously vacant land at the left of this view, a bank was built in the 1950s, now Lloyds TSB but originally the Edinburgh Savings Bank. 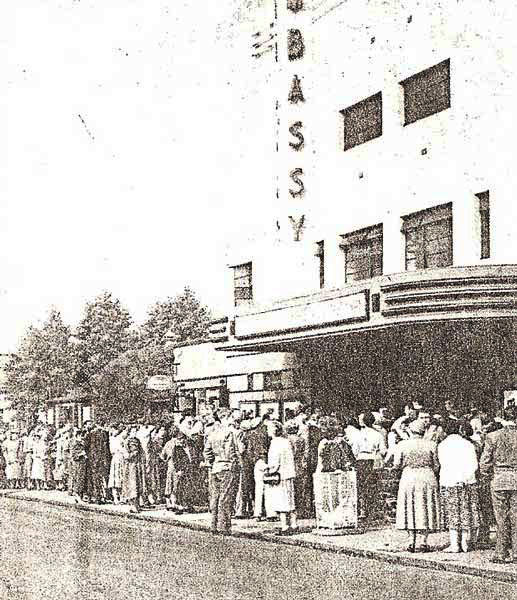 18 The Embassy Picture House building included two shops, a branch of R S McColl (confectioner and tobacconist) and Grant’s, a newsagent. 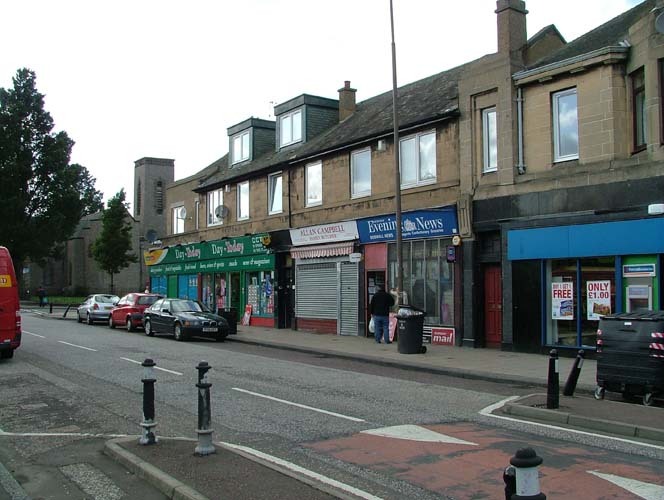 19 Here we see the shops on the corner with Wardieburn Drive, opposite Granton Parish Church. 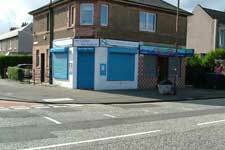 The corner shop was a draper and sold ladies’ clothes, and next to it was a hairdresser. 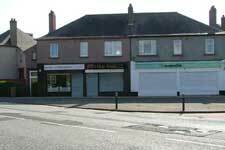 20 The shops in this view included Williamsons the greengrocer, Hardies (run by a Bailie who lived opposite) and Maxwells the confectioner. 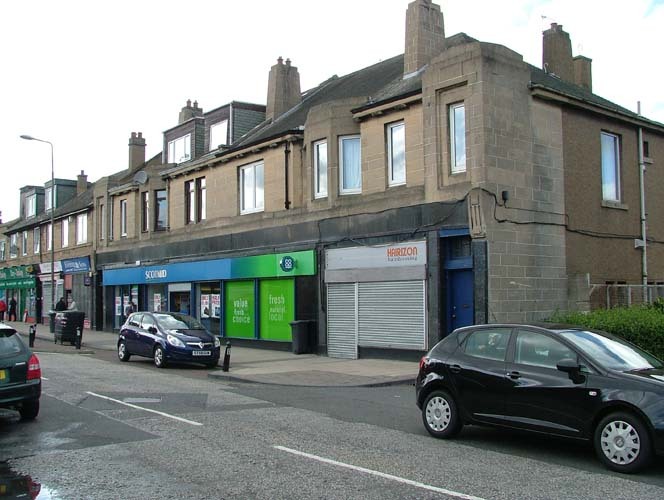 21 In this view is Scotmid, originally a branch of Leith Provident Co-operative Society, and to the left of it a newsagent and Campbells the butcher. 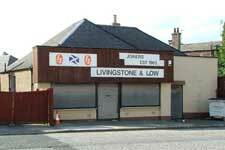 In wartime this was a drysalter and ironmonger. 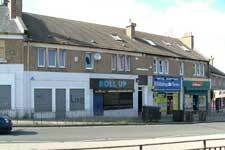 22 From Boswall Parkway we have now come along Wardie Crescent, where there are no shops, to Granton Road. 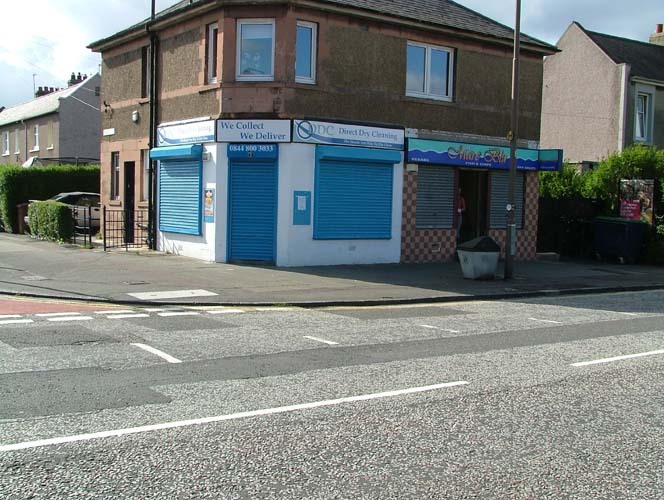 The blue-painted shop, until recently a general store, was previously Watsons. 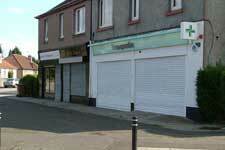 The three next shops have been turned into houses, but previously were a baker, a butcher and a newsagent. 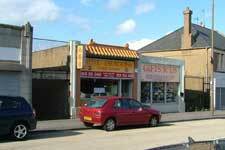 23 This shop, now the New Happy Palace Chinese carry-out, used to be Delicato’s fish and chip shop. 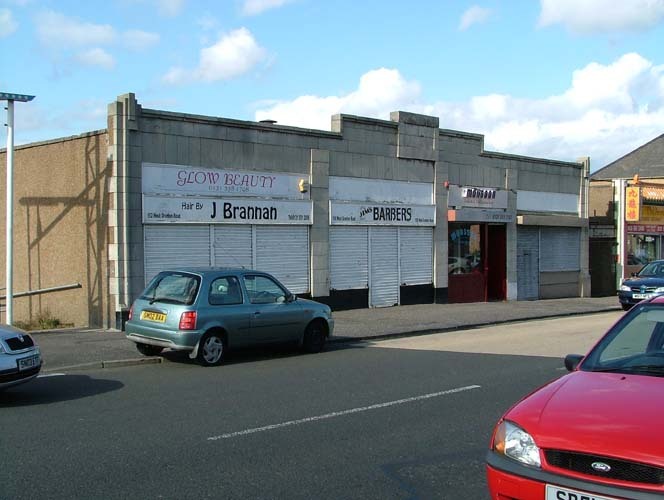 24 Here we see Scotmid, in premises previously used by Indespension, who sold car parts etc. 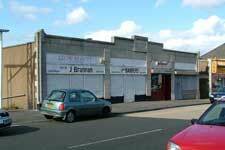 Farmer Jack’s, a greengrocer, used these premises at one time. 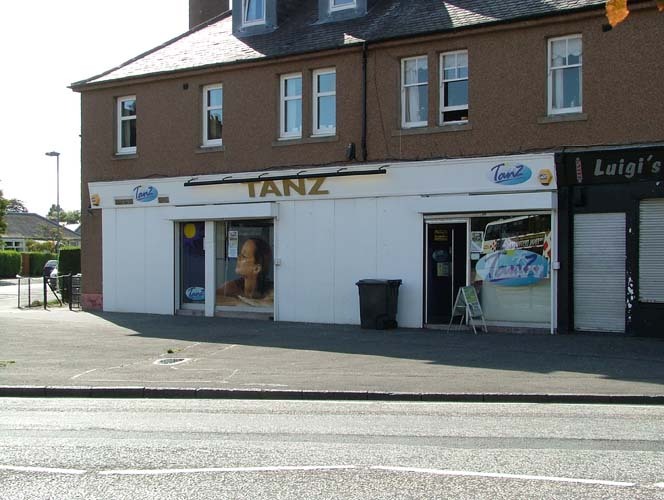 25 Heading south towards Ferry Road and crossing to the other side, we come to Tanz and Luigi’s, in a shop previously occupied by Miss Killin. 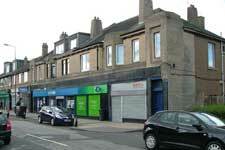 26 The Co-op Pharmacy, opposite Wardie School, was a Bank of Scotland at one time with a baker next to it. 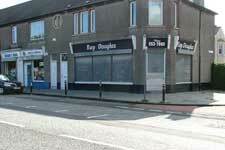 27 Here is another view of the pharmacy, with David Bryce Photography also in view. 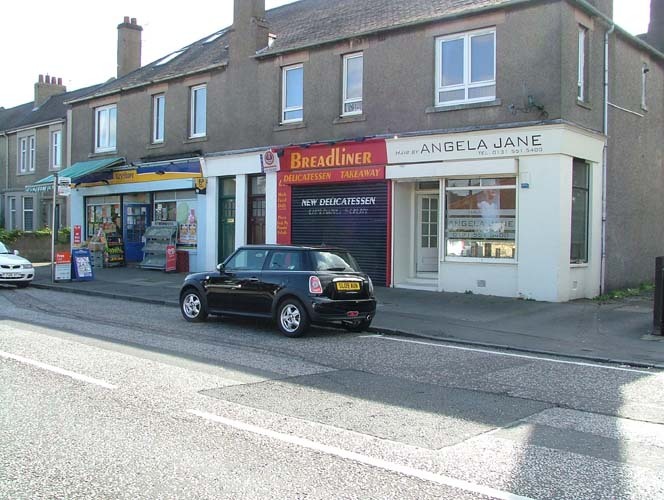 28 Here we see Breadliner and the neighbouring shops. 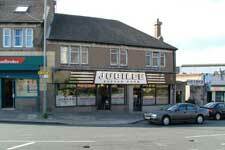 What is now Angela Jane was at one time the Granton Road Dairy, with a chemist next to it. 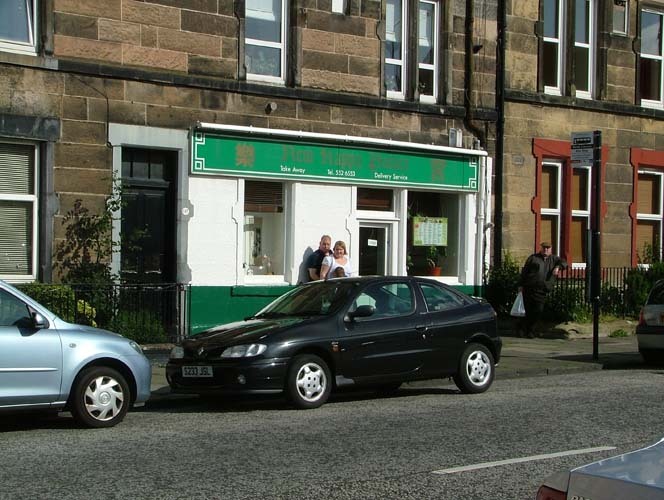 29 The fish and chip shop is long-established, but the dry cleaner next door was previously a baker and confectioner. 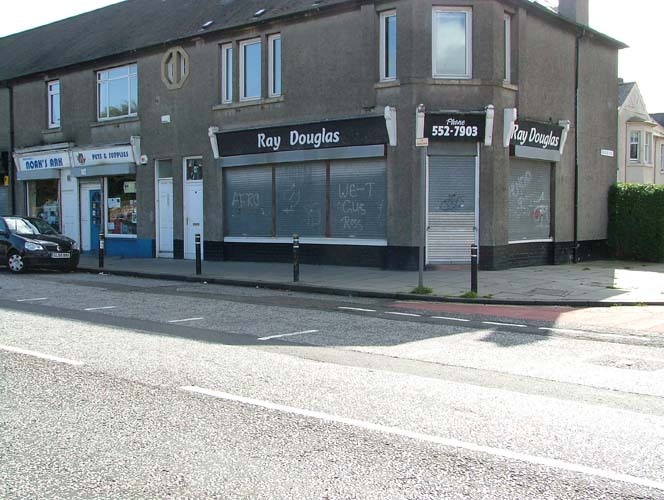 30 Ray Douglas the butcher's shop is on the corner with Fraser Avenue. 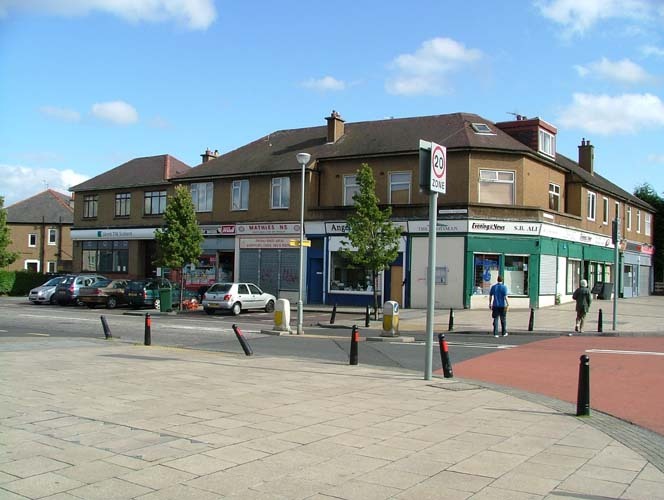 31 Arriving at the end of our visit to the shops in the area, we come to Noah’s Ark, a pet shop, a hairdresser, a vet and an ice cream shop which has been in this location for many years. 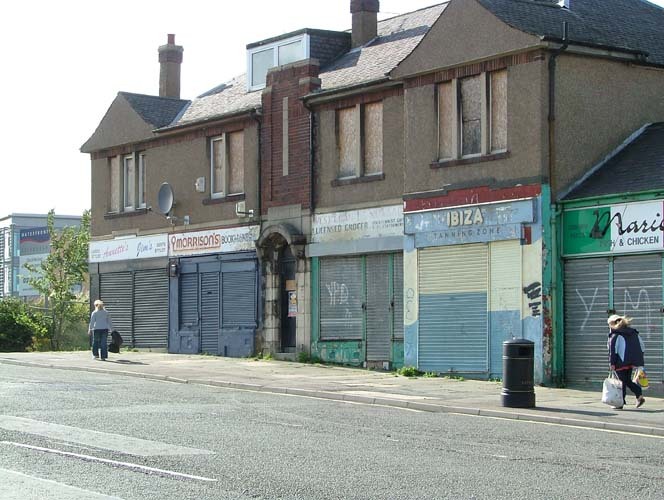 This location is next to the former Granton Road railway station and the terminus of the 23 and 27 tram.